Do you remember the enchanting video clip of Milan which I posted here some time ago? The clip was so beautifully filmed that it left us all craving for some more and more from this young and very talented film-maker. So good news, because Francesco Paciocco, maestro behind that masterpiece, is about to come out with his new much promising project, called the Birthplace. I wouldn't want to make it long as the video talks for itself, but I believe that now, more than ever in this globalized world of social networks and cultural hybridization we should take a moment to remember from where we originally come from. We should stop craving to imitate other societies in which the grass seems always greener and the sky more blue. And instead learn to appreciate the world from which we are from. To understand its flaws, values and the reasons behind them. It is only then that we can become truelly rich inside. I haven't always been of this idea, actually, as it is only thanks to the years spent away from my birth country (Estonia), that I came to realise the importance of my roots (read about How Italy woke in me sense of patriotism for Estonia here). But even in case we cannot continue living in our birthplace, we should walk around the streets and spread around the positive messages and particular characteristics of our roots. Otherwise what a boring place the world would be?! Therefore we should all make our part to ensure that this vision will not get lost within years and generations. I was contacted by the Birthplace production team to help them support the project. To make this project succesfully happen they are raising money on a website called KICKSTARTER ("Every project creator sets their project's funding goal and deadline. If the project succeeds in reaching its funding goal all backers' credit cards are charged when time expires. If the project falls short no one is charged."). Birthplace's goal is to make 12 000$. They are missing at the moment about 5000$. Nonotheless poor incomes I also made a small contribution and I invite you, my dear readers, to participate and support this project, which in my opinion, is a hell of an investment!! All donators will have different small rewards. For a small help you'll have your name in the contribution section so the whole world will know that YOU in particular helped to make it happen. For a slightly bigger amounts you will get a digital HD download of the movie, or your name in the screening Special Thanks To... part. And if you happen to have a spare 200 dollar note, laying there bored to hell on your desk, you can donate it and get in reward a one night stay in a hotel in that very same town where Birthplace was filmed. 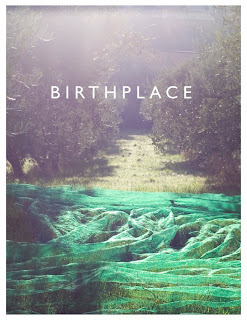 You can read better about it, all about the project and the people behind it on Birthplace's Kickstarter page. Oh, and I forgot - only SIX DAYS TO GO! Please come and join me in helping this project by sharing and suggesting the page to your friends on different social networks. Wouldn't it feel satisfying to see a project coming to life also thanks to you? I just watched the video on Kickstarter and really like the concept and the imagery. Thanks so much for sharing. Just put it on my FB wall also. Hope he makes the 12.00! !